(AP) CARACAS, Venezuela - More than 20 people were killed during a prison riot as two groups of inmates waged a gunbattle inside the penitentiary, Venezuelan officials said Monday. 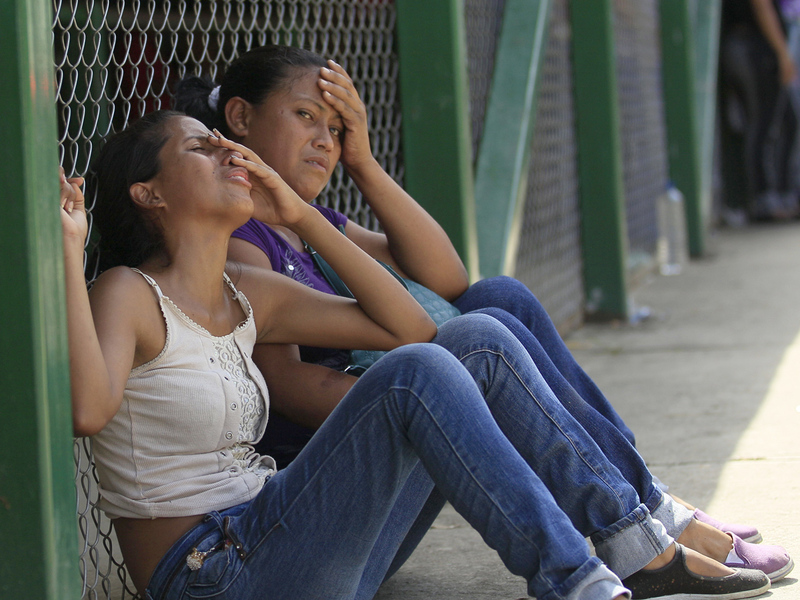 The violence erupted at Yare I prison south of Caracas on Sunday, and one of those slain was a relative of an inmate, said Iris Varela, the government's prisons minister. It was the latest in a series of bloody clashes that have flared in Venezuela's overcrowded prisons and become a major problem for President Hugo Chavez's government. Varela told state television that more than 20 people were killed but did not give a precise death toll or explain how the riot broke out. She indicated the situation had stabilized by Monday morning and said authorities planned to talk with inmates "to try to impose order there." The mother of one prisoner said armed inmates still held the facility. Varela said those behind the killings "are going to have to answer for this." She didn't provide details about how the inmate's relative died. Carlos Nieto, an activist who monitors human rights in Venezuelan prisons, said an inmate's relative who was inside the prison told him the shootout began during family visiting hours. Nieto said the gunbattle lasted about four hours and involved groups fighting for control. Yajaira Morroy, the mother of a 27-year-old inmate at the prison, said her son suffered a gunshot wound in a leg and had been trying to help a relative of another inmate who was wounded and then died. She said her son managed to reach a guard post and was taken to a hospital where he was treated. Morroy said during a telephone interview that the situation inside the prison had calmed and that some relatives who had been stranded inside were able to come out. But she said that armed inmates were still in control of the facility and that National Guard troops had not gone inside. Nieto said the riot shows that the "most serious prison problem, the weapons possessed by inmates, hasn't been solved." He noted that less than a month ago, another bloody riot erupted at another prison in Merida state. Violence has proliferated inside Venezuela's prisons, where inmates often obtain weapons and drugs with the help of corrupt guards. The watchdog group Venezuelan Prisons Observatory says 560 people were killed in Venezuelan prisons last year. It also says the pace of the violence increased during the first half of this year, with at least 304 inmates killed. Venezuela currently has 33 prisons built to hold about 12,000 inmates, but officials have said the prisons' population is about 47,000. Hundreds are held in Yare I, though a precise count wasn't immediately available. Following a deadly armed uprising last year in the prisons El Rodeo I and El Rodeo II, just outside Caracas, Chavez announced plans for changes to the country's troubled penal system including building new prisons, improving conditions and speeding trials for inmates who have yet to be sentenced. Chavez's political opponents and groups that monitor inmate rights have criticized the government's response as inadequate, and outbursts of violence have continued, becoming a campaign issue ahead of the country's Oct. 7 presidential election. Opposition presidential candidate Henrique Capriles lambasted the government's efforts in a message on Twitter Monday, noting that hundreds of inmates have been killed since Chavez created a new ministry to oversee prison issues last year. Capriles called Chavez's pledges to improve the prison system "another big lie." In one case in May, the government shut down Caracas' La Planta lockup and moved inmates to other prisons following a three-week uprising that pitted armed inmates against troops. Officials said that two people were killed in the gunfire, including a man who lived near the prison and was hit by a stray bullet, and that five others were wounded.